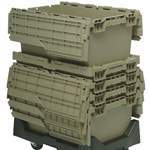 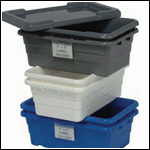 Shipping totes, nesting containers, attached lid shipping totes, stacking tubs, bulk bins, Riverside Paper Co. 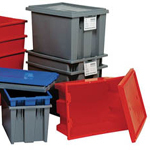 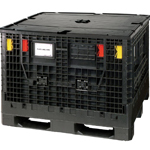 Choose from our very large selection of shipping, storage and warehouse totes and containers. 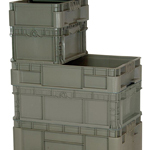 Each style has many features to help you choose the container that fits your operations specific needs. 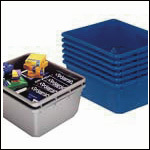 Our Cross Stack Tubs are ideal for the food processing industry. 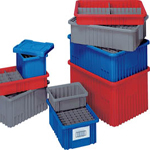 Attached Top Containers work perfectly in distribution of products to branch locations. 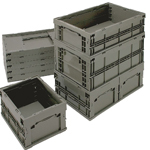 We have Conductive Dividable Grid containers for the electronics industry and Standard Dividable Grid Totes for small parts industries.